EDIT: Yes, I know about the typo in the title. Can't find how to edit it. At the very least in Miami. That's a... challenging choice for Bajin after departing with Osaka considering how Mladenovic has been playing for about a year and an half (if not more). Watch Mladenovic take some big scalps in the next months. To be honest, she always had the self-belief (almost down to outright denial) that she could. She just plays like complete arse. WTF. Out of all the tennis players with immense potential or incredible female players he chooses the incredibly nasty and inconsistent Mladenovic? Had hoped he'd go for coachless Halep. Let's not forget who the first person to beat Osaka was when she became the new #1. Yup, Kristina Mladenovic. Wonder if that's just a coincidence. If anyone needs Sasha's help, it's Kiki. Maybe he can help her level out her streakiness. I don't think that Mladenovic is a kind of player who's looking to be No.1, not the same personality & quality of Wozniacki & Osaka. But after defeating Osaka in Dubai, she talked about her work on her serve, so maybe she's aiming high... Pushed by her boyfriend #Theim . He could have done better for sure. 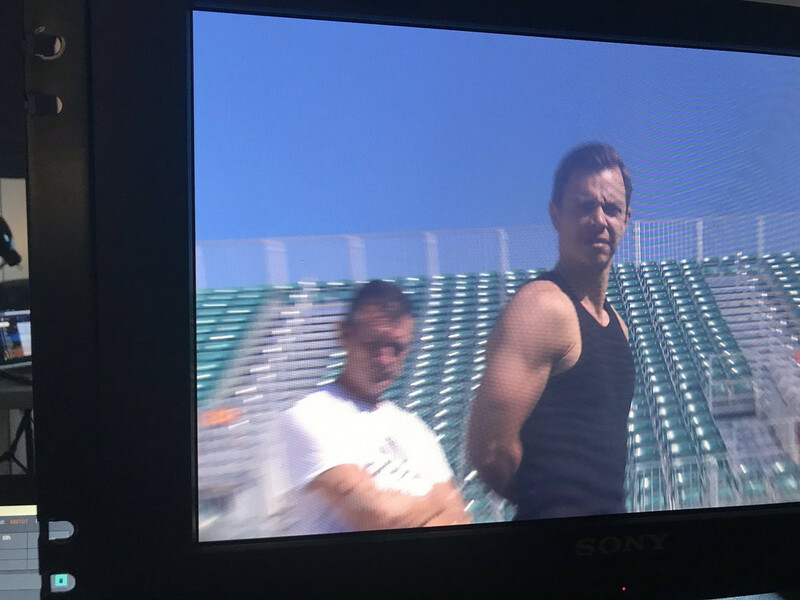 Halep is confirmed with Daniel Dobre. Townsend should grab Pat Cash now Coco is not playing. I thought she had Thiem to hit with. what does she need sasha for ? 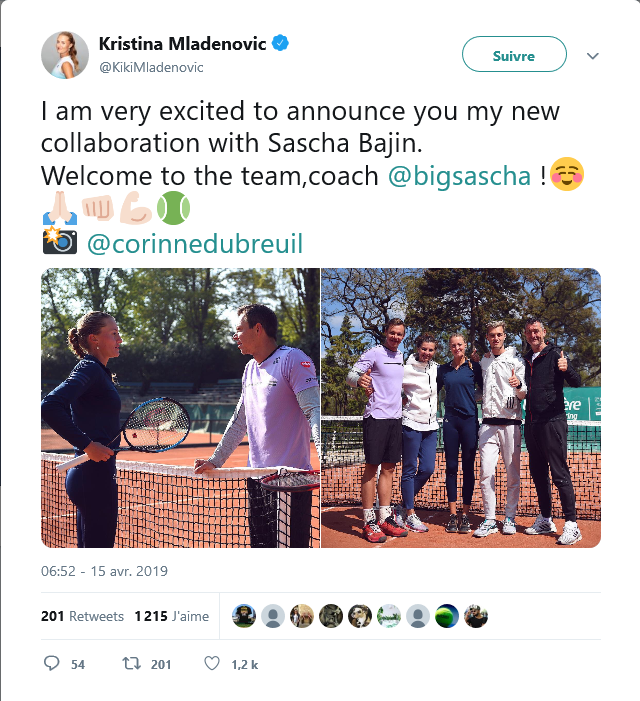 According to various sources on Twitter (and I don't claim reliability so take with a huge grain of salt), there's no permanent arrangement with Kiki, and Sascha is in dealings with multiple players. That is to say, he's in demand. Would be really interesting if he takes another raw talent to the top. You make it seem beyond question all the other players would choose him. What has Mladenovic done that makes her nasty? Genuinely curious. Also, I think Osaka is a goof, but I also think that Bajin is a complete goof too. Just look at his Twitter. Mladenovic is notorious for being outspoken and stirring some unnecessary drama. Didn't someone here report he was working with Venus as a head coach? I would rather see him with an upcoming player so this is better news if true. Is there any evidence he's a coach? He was hitting partner for SW and Osaka belittled his "coaching" so is he actually a coach? I guess we'll find out if he's still "coaching" in a few years . . . In an interview, Mladenovic denied he became her coach. Said they were friends and knew each at least since he was with Serena, and that if there were anything official, they would've announced it. Oh, and she doesn't see anything blatantly wrong with her results at the moment. Wasn't feeling well today, made to many mistakes, but doesn't mean she doesn't feel her tennis at all... As usual from her. Was going to tag @Aussie Darcy as soon as I saw the thread title lol. If he is helping in an official capacity, this is a big financial outlay for Mladenovic. Maybe it is just for the Open? As @Tennis_Hands said, expect Mladenovic to return to a much higher level under his mentorship. She was a good player previously, and if anyone can get her back on track, it's Bajin. Mladenovic denied he became her coach. Supposedly hes just a family friend of Mladenovic. Apparently he stopped by for a chat during practice with Tamaki Osaka, Naomi's mum, as well. Maybe the problems behind the scenes was with Osaka's Dad. Maybe there problem is with Naomi and Bajin. But why is Bajin still out of a job tho? He legit spend a month or two with his family back in Germany. But why is Bajin still out of a job tho? @Aussie Darcy That's the opportunity for him to show if he can do something with such a case. I'd be impressed if he could. That would help his coaching credentials. It would be hilarious if Mladenovic wins next major def. Osaka in the final . It seems to me that Bajin likes challenges. I wonder how Dominic Thiem feels about this. Now we are going to see how good of a coach this guy is. Definitely going to be a challenge!! Sale is a great coach (as he has proven many times) and if someone can help her to battle the demons, I'm quite positive it's him. Good luck to both.